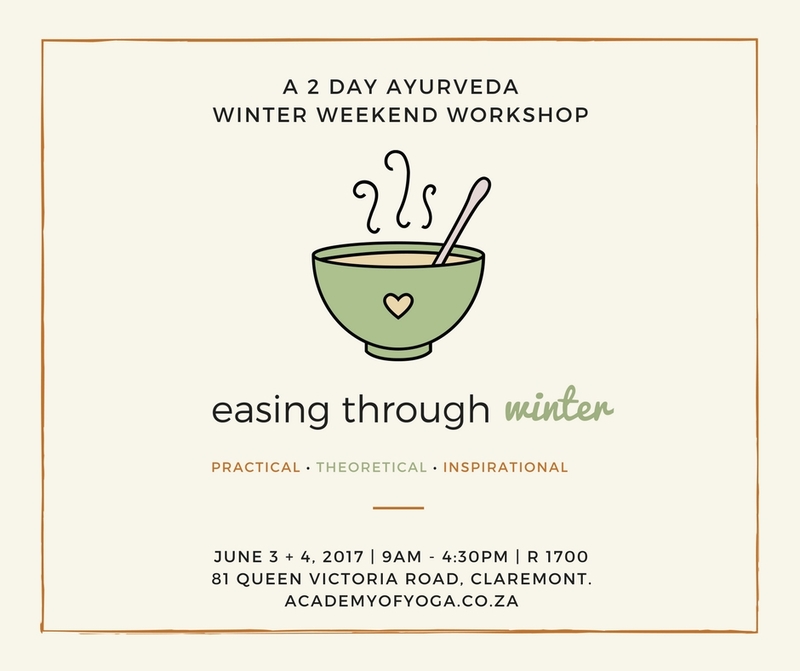 Join us on this 2-day winter weekend workshop. We are going to be covering a whole host of things. So be prepared to join us for a jam-packed, super inspirational and practically helpful two days. And of course, don’t forget, the amazing food, as always prepared by Pramilla. Yoga – What type of Yoga practices, Pranayama practices and Yoga Nidra themes should you be teaching at this time of year. You will be lead through an Integral Hatha Yoga Class and then a discussion and teaching will follow as to why certain practices were done and why they were taught in the way they were taught. Food – We delve deeper into the discussion on tastes, food and spices, thereafter you will enjoy a beautifully balanced Ayurvedic meal. Theory – In this module we will cover the basic theory on subdosha’s so that you have an understanding of them and the roles they play. You need to have a good understanding of the dosha’s before attending this workshop! Practical Tips – We discuss and explore practical tips, every day practices and daily routines that you can implement easily from the very next day. Common Illnesses – We take a look at the common illnesses that arise at this time of year. We look at preventative measures that can be implemented on a practical level to help combat these ailments. Philosophy – We take a practical look at the philosophy that coincides with winter and we experience chanting and meditation practices to bring our time together to an end. Q & A’s – There will be time at the end of each day for Q & A’s so that if any questions arise during the workshop they can be clarified before going home. Follow Up – There will be an optional follow up group Skype meeting two weeks after the workshop to see how everyone is doing with implementing their new practices as well as answering additional questions that may have arisen. Next ›What is Integral Hatha Yoga?